As said before, Fish Party is both easy to play and very entertaining. The slot does not have any standard symbols and all animations have to do with life under water, ranging from fish to clams. The castle with the name of the slot written on it functions as the wild and can substitute for any other symbol except the scatter. The scatter is the happy-looking oyster and you will hope there are three of them when they pop up. Do take some time to appreciate the animations and sound effects before continuing free spins. Namely, this is one of the slots on which Microgaming has spent quite some time and energy on the overall experience. The slot is really sharp, the game loads fast, and it runs smoothly on most devices. Fish Party is, without a doubt, one of the most attractive slots by developer Microgaming. This probably has to do with how everything just works in this slot. The animations are entertaining and sharp, the sound effects are unerring, and you could very well play this game to relax. It’s easy to keep track of everything and there are no annoying features flying around fast. Fish Party only has free spins and no bonuses, no random features, and no funny stuff you have to pay attention to. With its five reels and three rows, expect the expected. How to play Fish Party? As said before, Fish Party is both easy to play and very entertaining. The slot does not have any standard symbols and all animations have to do with life under water, ranging from fish to clams. The castle with the name of the slot written on it functions as the wild and can substitute for any other symbol except the scatter. The scatter is the happy-looking oyster and you will hope there are three of them when they pop up. Do take some time to appreciate the animations and sound effects before continuing free spins. 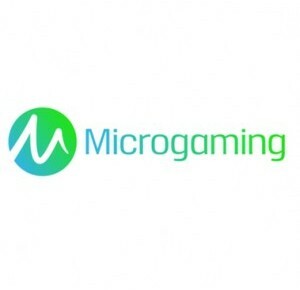 Namely, this is one of the slots on which Microgaming has spent quite some time and energy on the overall experience. The slot is really sharp, the game loads fast, and it runs smoothly on most devices. Free spins are the most interesting element of this slot, especially for players who want to go for profit. Namely, the slot doesn’t have a jackpot but during free spins, the maximum potential win reaches 485,000 coins. This sizable maximum potential win is the result of the stacked wild symbols. Additionally, there is one other thing you’re going to want to keep an eye on during free spins. Namely, the animations that are worth the most will appear stacked too. Add to this the wild symbols and you will probably understand where this large win comes from. Also, do also keep track of the oyster during free spins as it can still lead to extra free spins! Fish Party does not have pay lines as it has ways to win -243 ways to win to give an exact number. This means that you only need at least three matching symbols -including wild symbols- on adjacent reels, starting from the first turning wheel. As a result of the simple layout and the simplicity of ways to win, it is very easy to see whether wins are forming or not even before you’ve seen the end result. Seeing as there are not special features, you will always know what’s up. At the bottom of the slot, you will find the buttons needed to configure the slot. Namely, here you can alter your coin value and number of coins. Also, this slot has an autoplay function which you can also access at the bottom of the slot. And let’s not kid ourselves, on a slot as simple as this one, you don’t need much more than that.